Wine, coffee, tea, dark broth, leftover food, more wine, more coffee… basically all of the things that stain our teeth also stain my poor porcelain sink. Unfortunately, dish soap and a sponge just wasn’t cutting it and our sink was becoming embarrassing. 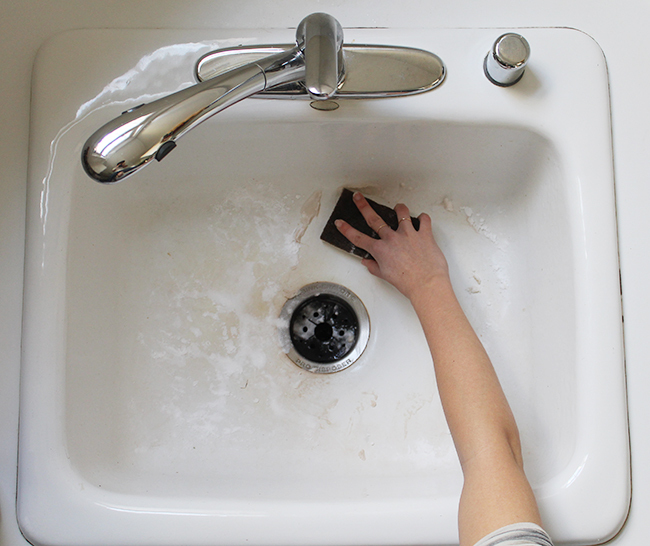 I came across the below DIY recipe to clean a kitchen sink from Erin Meyer, writer of The Organized Life blog on Pinterest. I already had the 3 ingredients her cleaning recipe called for so I figured I would give it a shot. It turned out to be a magical sink cleaning recipe and now I feel morally obligated to pass it along. 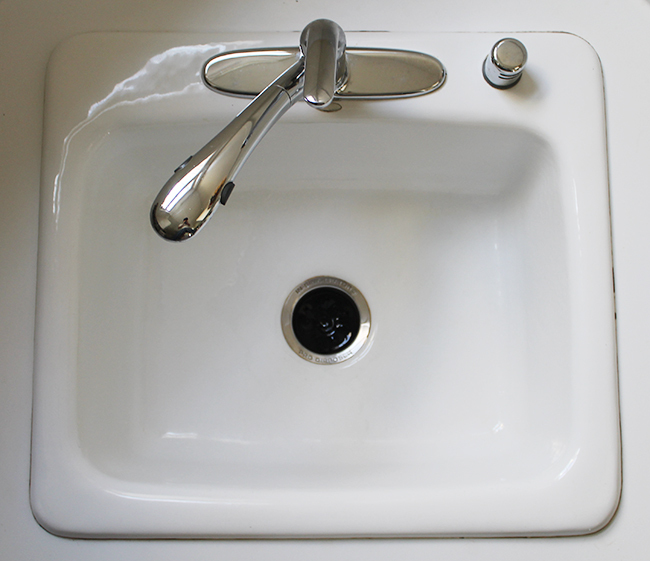 If you are embarrassed by stains in your sink, then read on (or watch the video) to learn how to clean a kitchen sink in 3 minutes or less. I hope you found this as satisfying as I did – now go enjoy your shiny white sinks! 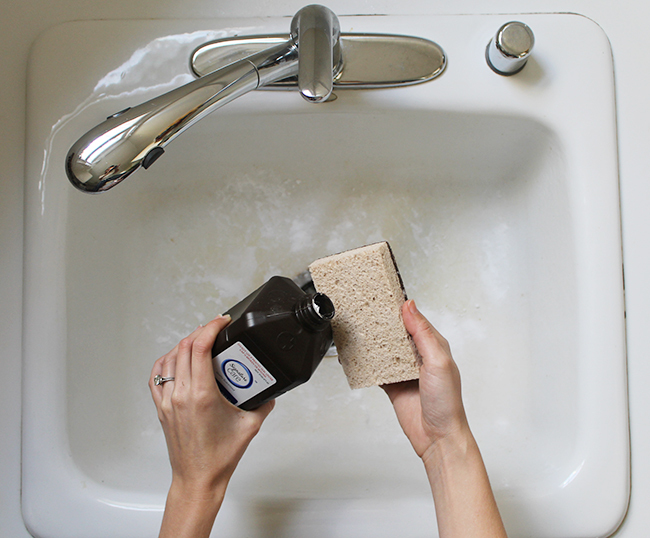 Such a lovely kitchen sink cleaning idea you have demonstrated here. But I don’t think I can do it within 3 minutes. I think it will take slightly more, i.e nearly about 5 to 10 minutes. Still I would like to the appreciate the whole approach of cleaning. 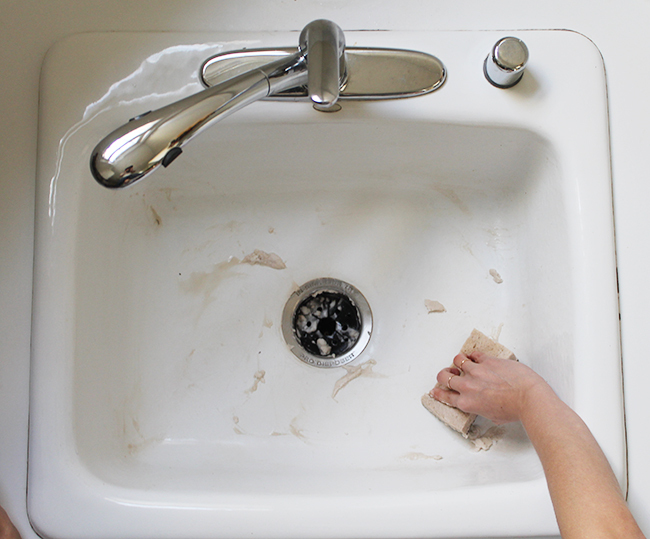 Because everyone takes sink cleaning as a time consuming and hectic task. Yes, sometimes it can be. But if they follow the above cleaning procedure, then they can clean their kitchen sinks by consuming less time and also with less effort. Hence, if the intention is right, then I think they will surely implement it from hear onwards. Thanks for showing us how to use an auger/snake to unclog a sink. 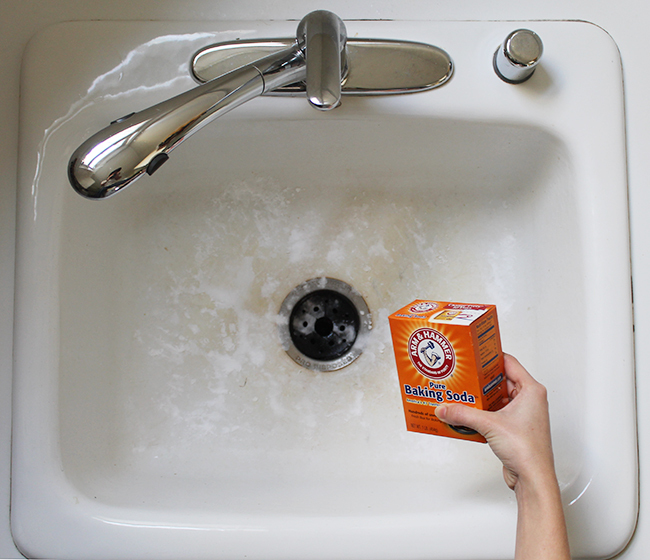 I’ve heard that it’s best to avoid using drain cleaner to unclog my drains. I used to use drain cleaner all of the time until I recently found out that they’re the main reason for the damage to my sump pump. Now that I have a better idea of how to use an auger to fix the drain in my shower, I can stop putting commercial cleaners down my drain. Thanks Kait! Can I also share this on my followers on Pinterest? Does this remove the little grey scratches from the sink as well? 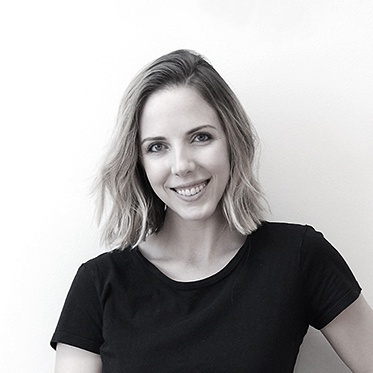 Hi Lisa, this process can definitely help disguise them! Give it a try and let me know 🙂 Thanks for stopping by!